An invisible and silent force pervades the Universe. We study it from the Earth’s surface and with robot explorers orbiting above our planet. Its protective shield enables life to thrive on the surface of our world. The spectacular Northern lights attest to the constant buffeting of our magnetic field by the solar wind. The force is magnetism. It protects us from massive explosions of deadly ionized gases rising from the surface of our star. It’s a magnetic shield that may soon change dramatically with devastating consequences for our technological civilization. 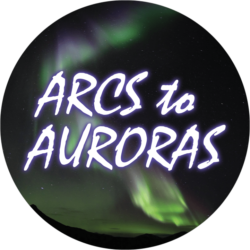 To explain this unappreciated force, the Burke Baker Planetarium opens its new production: Arcs to Auroras: Following the Magnetic Force for spring break.